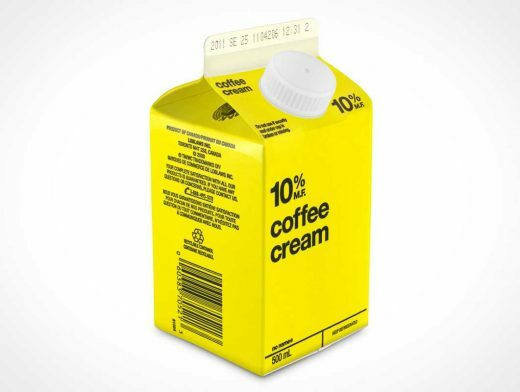 CARTON006 is a 45 degree above view of a standard 500mL cardboard carton container used by many companies to package juice, milk, soya, table cream, chocolate milk etc. This PSD Mockup renders your 2D designs onto a standing carton with plastic pour hole. The product has a top-down view with multiple shadow and highlight layers which can be modified by the designer once rendering is complete.